A Producer/DJ originating from the North East of England, but currently based in West Yorkshire. 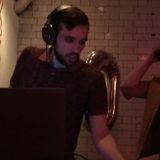 Simon&apos;s production skills and DJing career came of age during the bloghaus era whilst studying music technology at Leeds Beckett University and his DJ sets reflect this. Expect a blend of disco, house and techno of all variants with an emphasis on never taking itself too seriously.